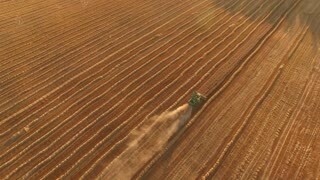 Aerial view of moving harvester. Trail of dust behind machine. Big farm has rich crops. Provide food for entire country. LESVOS, GREECE - NOV 2, 2015: Volunteers provide first aid to the refugees on the shore. The Sacramento and San Joaquin rivers flow through central valley of California, and the dams located on each of the rivers, Shasta and Friant Dams, provide power and irrigation for the fertile soil of the valleys they serve in the 1940s. LONDON, UK – APRIL 2nd: Riding on a London tourbus on April 2nd, 2012. London tour buses usually provide either a live or recorded commentary to tourists. Fishermen cut the ice on the lake to provide oxygen to fish, Cutting Ice on a Lake and Making Vents to Fisha male worker in a bright yellow dress. The many cairns on a height above Lake Pingvallavatn provide photo opportunities. MAUI HI - December 15: Professional Surfer Granger Larson gets barreled riding large ocean wave. Winter swells hit Hawaii and provide great waves for extreme surfing. December 15 2012 in Maui HI. Savanna Safari Africa. A spanning view of a savanna in Africa. Trees provide little cover and shade in this dry region. Sofia, Bulgaria - 5 December 2018: Volunteer paramedics from Bulgarian Red Cross Youth provide first aid with a stretcher during a training for saving people in an accident.